Get 10% off any diabetes blood test Click Here. Use Promo code DIABNOV10 at check out. 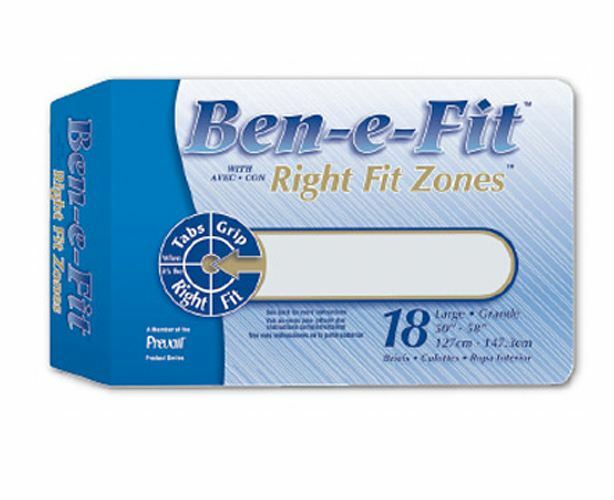 They are soft, promote comfort, are non-irritating and are approved by the American Podiatric Medical Association. The sock top is non-binding - they do not restrict blood flow yet they have enough stretch which will prevent them from slipping down the leg and settling around the ankle. Many regular socks restrict blood flow at the end of the day due to standing and leg swelling. These socks stretch with you. The soles are cushioned which aids in super comfort as well as protection for your feet. As we age, we lose the fat pad located in the soles of our feet, especially in the ball of the foot. Constant pressure from standing, walking or pounding our feet will increase the risk of injury and trauma. The socks provide cushioning without bulk so that they stay in place with much less risk of developing blisters. The socks contain anti-microbial protection which is impregnated into the fabric. This protection remains even after multiple washings. This reduces foot odor as well as bacterial growth and can decrease the probability of fungus or athletes foot, both very common to people with diabetes. They contain moisture management which wicks away wetness from the foot and promotes quick sock drying times. Regular socks promote foot sweating from the fibers and the material remains wet against the foot and inside of the shoe causing increased bacteria formation. Always remember to let your shoes dry out between times worn if still damp inside. The toe seam is smooth which helps increase comfort. Many regular socks have large and raised toe seams which feel bulky inside the shoe and may feel bunched up to someone with diabetes - very common with neuropathy. They contain graduated and mild compression from 10-15mm/hg which makes legs feel less tired and stressed at the end of the day. The therapeutic socks contain stronger elastic to create firmer pressure on the feet, ankles and legs. 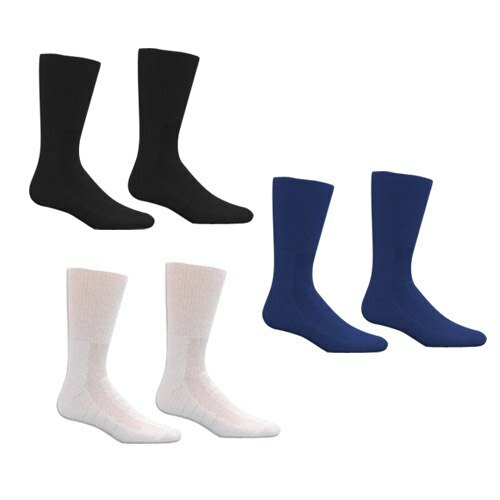 They too are high quality and good looking socks with the added benefit of helping with increased edema or leg swelling. These socks have more pressure starting in the ankle which gradually releases as it goes up the leg. This assists in blood flow by forcing the blood thru the veins and increasing the blood to the heart with less pooling in the feet; this reduces the chance of leg blood clots and foot swelling. They are great for standing, sitting or traveling in a confined area for an extended period of time such as in a car or plane. Remember to check with your physician if you are having an acute problem, red streaking in the leg or severe calf pains which may indicate a DVT or deep vein thrombosis. Never walk in socks alone indoors or outdoors which can increase your risk of slipping or foot injury. Also, take the time to measure the ankle and the calf when purchasing the therapeutic socks for the proper fit. Your feet, ankles and legs will definitely thank you! It is possible that you have heard these words as well and may not really have a good understanding of what they are. Hopefully, we can clear that up for you. Gout - This week alone, four patients were experiencing an acute episode of gout and several more had included gout or chronic gout as part of their previous medical history. Gout and diabetes are often seen together and more than 8 million people in the United States have gout. Research has shown that insulin resistance can have a role in developing gout, and that gout can increase insulin resistance (the insulin is available but not working as it should). A theory is that in diabetes, poor circulation can lead to the inability to get rid of excess uric acid and cause gout. New studies show that elevated uric acid in the blood, above 6 mg/dl, is associated with a 20% increase in diabetes. No one is sure which condition comes first, but they know that they are connected. What is gout? It is a form of arthritis caused by an increased amount of uric acid in the blood. Urate is formed when the uric acid level climbs and these crystals collect in the joints. They can cause excruciating pain, redness and swelling in the joints which frequently starts during your sleep. The most intense pain comes in the first 24 hours and an episode can last up to 10 days. Even light touch can seem extremely uncomfortable. The most common joint affected is the big toe but crystals can also collect in the knees, hands, wrists or other joints. If not treated, permanent joint damage can take place. Crystals can also appear in the kidneys when diabetes is out of control and renal function is reduced. The ability of the kidneys to remove uric acid is lowered and certain types of kidney stones are formed. Who gets gout most often? It is dependent on your family history (like diabetes), seen more commonly in men between 40-50 and women after menopause. It is also seen in those who take a daily 81mg of baby aspirin, take thiazide diuretics, are obese, have high blood pressure, diabetes or elevated cholesterol. It is higher in those who have more than two drinks of alcohol per day (for men) or more than one alcoholic beverage daily (for women). It is seen more frequently in those who live an unhealthy lifestyle which is lacking in both exercise and smart eating habits. Similar traits are seen in diabetes as well. Another risk factor is a high purine diet known as the "diet of the kings" - including red meat, shellfish, oily fish, and organ meats. Vegetables including cauliflower, asparagus, mushrooms and beans are also high in purine. Treatment- Checking with your physician is critical so that proper medical management can be started. Several classes of medication are available to help with the symptoms. Prevention- Trying these suggestions (which are also helpful in diabetes management) can possibly reduce your episodes of gout. Increase your daily water intake and reduce the portions of red meat (including beef, lamb and pork). Substitute whole grains for refined and processed foods. Add foods with vitamin C like citrus or take a vitamin C supplement. Choose foods with dark blue and purple colors including grapes, berries and cherries in moderate amounts. Do not smoke. Also, include some form of daily exercise. And be sure to maintain a reasonable weight. Gout is just one condition that is often seen in patients with diabetes. I will try to keep you up to date on some of the other common ones in a diabetes practice. Stay informed! Now there's another reason why you should be getting your daily dose of omega-3. In a study published in the Feb. 28, 2013 issue of the journal Neurology, researchers measured the red blood cell level of omega-3 fatty acids (specifically EPA and DHA) in 1,575 dementia-free people whose average age was 67. About three months later, participants underwent mental-functioning tests and MRI scans that examined brain size and blood supply in the brain. Researchers found that people with the highest blood levels of EPA and DHA were more likely to perform well on tests of mental functioning and to experience less age-related brain shrinkage which is associated with Alzheimer's Disease. Brain scans also showed signs of less blood supply in the brains of people with the lowest omega-3 levels. This suggests they may play a role in promoting general vascular health in the brain, similar to how they are thought to help heart health. "We feel fatty-acid consumption exerts a benefcial effect on brain aging by promoting vascular health," said the study's lead author, Dr. Zaldy Tan, associate professor at the Easton Center for Alzheimer's Disease Research and the division of geriatrics at the University of California, Los Angeles. "This might include reducing blood pressure and inflammation," he added. Getting the proper amount of EPA and DHA in your diet is easy with Diachieve Omega-3 Diachieve Omega-3 provides the highest concentration of EPA and DHA, the two omega-3 fatty acids mentioned in the brain study. Many other brands contain only a small amount of EPA and DHA per capsule and you would need to take several capsules just to get the same dose that is in just one capsule of Diachieve Omega-3. Diachieve Omega-3 is pharmaceutical-grade, which means it undergoes the highest purification process available to remove all contaminants such as mercury and PCB's. Diachieve can provide a great source for meeting your omega-3 requirements. Diachieve is a brand you can trust for the highest potency and purest form of omega-3 available today. Manufactured exclusively for a American Diabetes Wholesale, a company you have come to know. Diachieve Omega-3 provides the highest concentration of EPA and DHA, the two omega-3 fatty acids mentioned in the brain study. Many other brands contain only a small amount of EPA and DHA per capsule and you would need to take several capsules just to get the same dose that is in just one capsule of Diachieve Omega-3. Diachieve Omega-3 is pharmaceutical-grade, which means it undergoes the highest purification process available to remove all contaminants such as mercury and PCB's. Diachieve can provide a great source for meeting your omega-3 requirements. Diachieve is a brand you can trust for the highest potency and purest form of omega-3 available today. Manufactured exclusively for a American Diabetes Wholesale, a company you have come to know. Health News Cold & flu season can be much more dangerous when you have diabetes.Certain factors can help you avoid the misery of a cold. >What is a cold?- Cold viruses tend to begin in the nose. Usually what happens is an infected person who is in close proximity to you coughs or sneezes and allows for air borne virus particles to lodge in your nose. Your hands and fingers are also a problem since they touch viruses on innate objects like door knobs, computers, telephones, etc. Without realizing it you then touch your nose, mouth, eyes or tear ducts (mucosal membranes) and the virus travels to the nose. Most people will develop a cold once the membranes in the nose are exposed. Try to stay at least 3 feet from someone who you think or know has a cold. Why doesn't everyone exposed to the virus get a cold? The cold symptoms are not caused by the virus but the symptoms are related to the person's immune system. Dr. Sheldon Cohen from Carnegie Melon University has studied who gets colds and who does not for over 30 years. He states that "colds are cytokine diseases." What happens is cytokines, which are protein molecules, are produced in response to the virus by your own immune system. Cytokines are proinflammatory and cause the symptoms from the virus. Dr. Ronald Turner from University of Virginia Medical School states that some people have a "genetically programmed" response and some experience a highly effective immune response showering them with symptoms. The bottom line is sometimes you may have the response to the virus and other times you may be spared. Many people suffer up to 4 colds a year so learn some possible prevention tips. Wash your hands and no hand touching your face - sounds old school, especially with all these new hand sanitizing products, but basic soap and water always wins and it is the cheapest. Doing it often is the trick and yes you can sing Happy Birthday to time yourself when washing. In a pinch when no sink is around you can use sanitizers, but try not to only rely on them. Remember - cold and flu viruses enter through the nose, mouth and eyes. Sleep time - according to Dr. Cohen, sleep time and sleep efficiency is needed to keeping colds at bay. Seven to eight hours for an adult seems to be the correct number, but they need to be hours that you are truly asleep - not reading, watching T.V. or tossing around in bed. It does work to help the body's recovery system and repair cycle. Think sparkling clean (on all shared surfaces) - think about stair rails, counter tops, door knobs, car doors, cell phones which may sit in the gym, on the bus, anything that is considered hand to hand spreading. You can use bleach or the new more natural and gentle cleansers. Rubbing alcohol kills bacteria and germs on contact. Hit the gym - studies in the British Journal of Sports Medicine have shown that doing aerobic exercise for a minimum of 20-30 minutes at least 5 days a week will boost your cold fighting ability. When you exercise you speed up the heart rate and oxygen supply by breathing deeply; this helps to fight off infection by increasing virus fighting cells. Too much intense or strenuous exercise can actually reduce your immune system and cause inflammation so stay moderate. Natural foods and maybe supplements - yes, think fruits and vegetables to get all the nutrients and cold fighting antioxidants you need. If you know you really avoid these foods, consider supplements that offer similar properties. Think spices when cooking - garlic, rosemary, oregano, thyme and hot peppers have great anti-bacterial properties, help to detoxify and taste good. Hydrate - increasing fluids will help your membranes stay moist and discourage viruses from lodging in mucous membranes. Plain water will do the trick and try to avoid caffeine or alcohol. Alcohol will dehydrate you and lower your immune function. Consider a humidifier if you live in a dry climate. Avoid crowds when you can - mass transit including buses and trains increase your chances. Hanging out in concerts, movies, or malls increase your risk of viruses and the flu. Be reasonable when you can avoid these things, but live your life. Think Probiotics - multiple studies have shown that your gut is involved in most of your overall health. Up to 42% of people decreased their cold risk by supplementing with probiotics or eating foods like yogurt or kefir. Reduce your stress or at least your response to stress - things like unemployment, major conflicts, marital problems or any long term underlying stress can wear you and your immune system down. You cannot avoid it but you need to deal with it. Diabetes is a disease in which your blood glucose, or blood sugar, levels are too high. Glucose comes from the foods you eat. Insulin is a hormone that helps the glucose get into your cells to give them energy. With type 1 diabetes, someones body does not make insulin. With type 2 diabetes, the more common type, the persons body does not make or use insulin well. Without enough insulin, the glucose stays in your blood. Someone can also have prediabetes. This means that someones blood sugar is higher than normal but not high enough to be called diabetes. Having prediabetes puts you at a higher risk of getting type 2 diabetes. Over time, having too much glucose in someones blood might cause serious problems. It might damage your eyes, kidneys, and nerves. Diabetes can also cause heart disease, stroke and even the need to remove a limb. Pregnant women can also get diabetes, called gestational diabetes. Type 2 diabetes is a disease in which your pancreas does not produce enough insulin, or your body does not properly use the insulin it makes. As a result, glucose (sugar) builds up in your blood instead of being used for energy. - Your body gets glucose from foods like bread, potatoes, rice, pasta, milk and fruit. To use this glucose, your body needs insulin. Insulin is a hormone that helps your body to control the level of glucose (sugar) in your blood. Big savings on New Arrivals at FullofLife.com! Discount Medical Supplies by Doctors... for Caregivers, Patients, and Public. Buy your medical supplies at a discount! Shop Now at DiscountMedicalSupplies.com! -Discount Medical Supplies by Doctors... for Patients, and General Public. Buy Special Category supplies at a discount price. Shop Now at DiscountMedicalSupplies.com!